Just one or the other. I personally have never used the Heritage G, but have heard it works well too. Boot. What’s the shelf life of Sedge Hammer? I have a bottle from last summer I may spray tonight. Yes, new sod. Thanks for the advice. It's pretty hard to diagnose a lot from pictures. Looks like there are some compaction issues. Ran a soil test yet this season? What kind of fertilizer is everyone using and is it time now? No soil test it the next step. 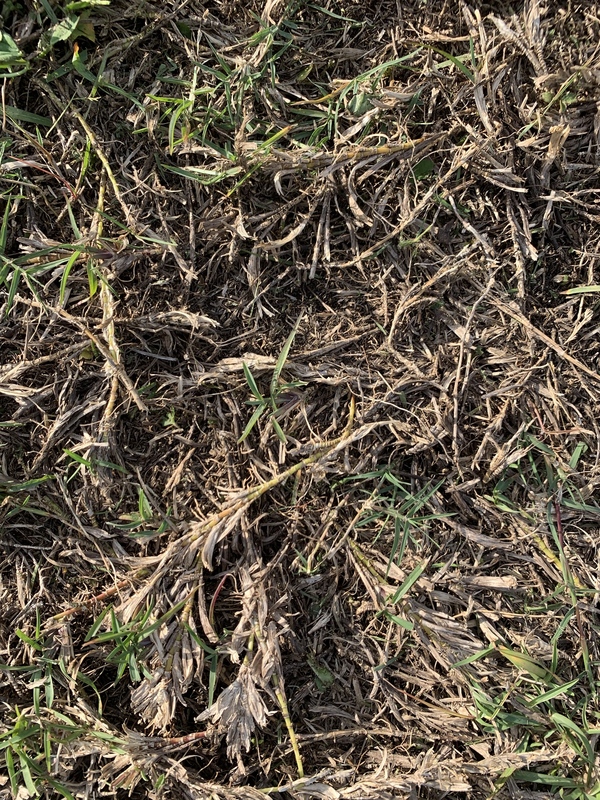 I have centipede grass and last year, which was our first year after we built our house, our grass developed a few brown spots in our backyard. 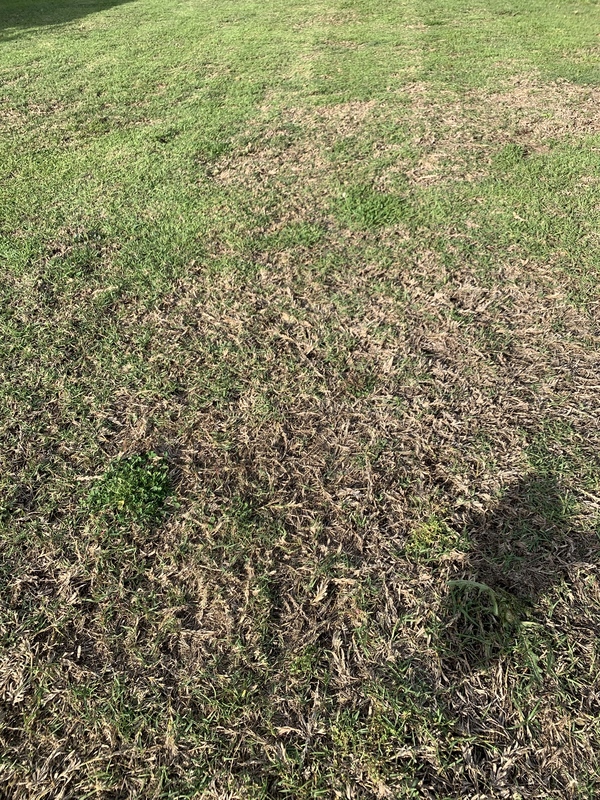 The small brown spots ranged from 6-8 inches around and darker green grass surrounded it. We have a dog so I initially thought it could be due to him using the bathroom but this year it is a bit worse. Boot- Does this sound like brown patch? And what should I do? Buddy of mine has a similar issue out in Hammond and he was told to put down some Bioadvances complete insect killer. Any orange/yellow color around edge of rings? 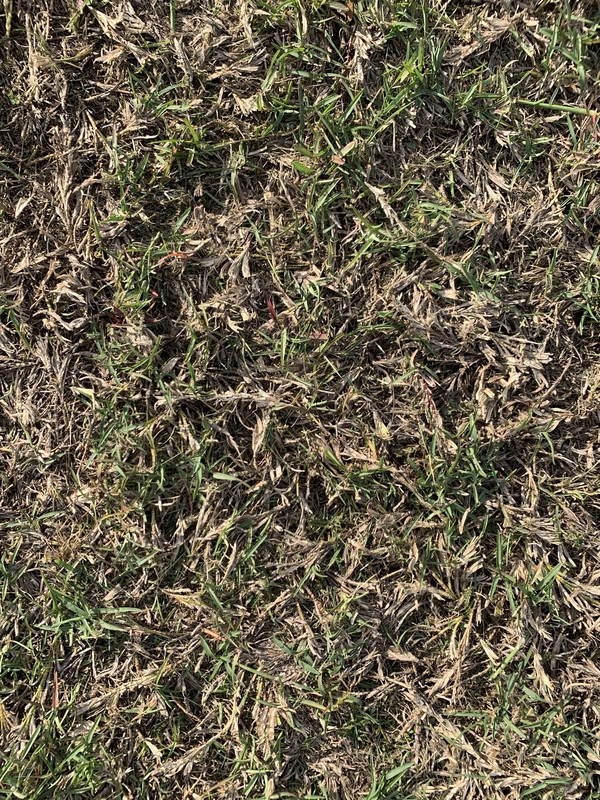 Do those spots look the same right now, or are they greening up? I think most of what y’all are seeing is it hasn’t bounced back from the winter yet, it was in the 30s 2 weeks ago, 40s now. If you have a blend of St Aug, and centipede, the centipede seems to bounce back quicker than the St Augustine. 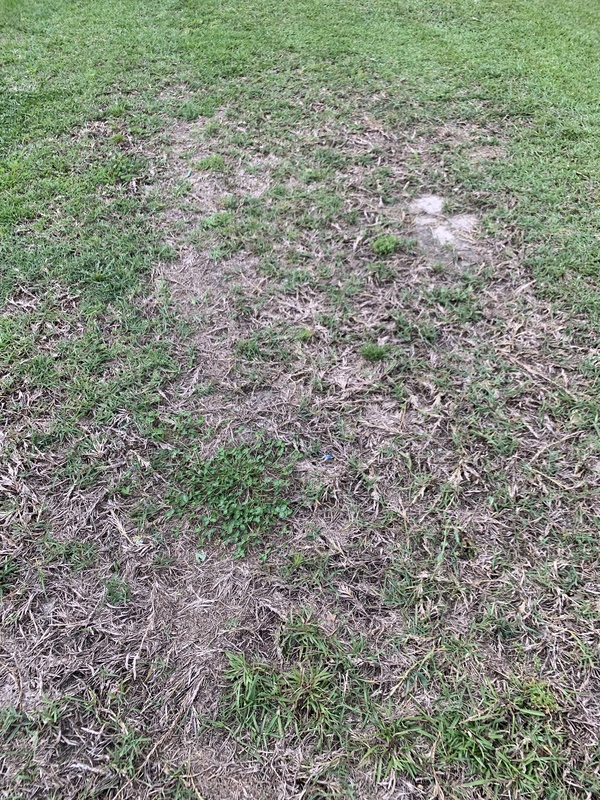 It will likely fill in, but the biggest issue will be its giving a spot for weed seeds to find a new home. Is the beginning of May too late to lay some granular pre-emergent down on Bermuda? Also planning on throwing some milo down. I’m tracking 12lb/1000sqft. Is that what you guys are using? You ain't preventing much at all in May, so yes. And Milorganite is only 6-4-00....what you'll benefit is from the iron content. Put down pretty much as much as you want. I like that deep green color, so when my yard doesn't look almost blue when I'm driving down the street, I put another round of MIilorganite. 3/4 bags on my small yard early on, then about half that as it heats up and everything is full. From reading the Internet / YouTube looks like you can throw down milo at crazy rates and get zero burn. I know you said you throw down 3/4 of a bag on your small yard. Is 12lb/1000sqft about right or should I go heavier?